We are passionately engaged in manufacturing a high grade range of FFS Machine. 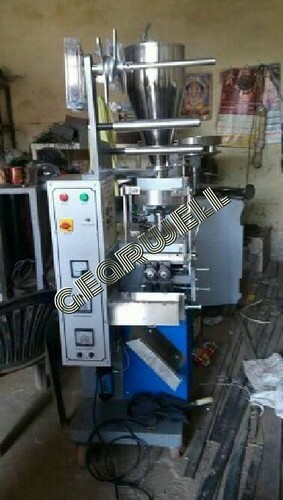 "Gearwell Industries" is a distinguished manufacturer of a wide range of Inclined Screw Conveyor, Auger Filling Machine, Band Sealer Machine, Collar Type Machine, etc. Founded in the year 1991, we are a Sole Proprietorship company that is incepted with an objective of providing high quality products in diverse specifications within limited time period. Situated at Faridabad (Haryana, India), we have constructed a wide and well functional infrastructural unit that plays an important role in the growth of our firm. Under the headship of our Mentor “Mr. Ansari”, we have gained huge clientele across the nation. We are offering all our products under the brand name Gearwell.